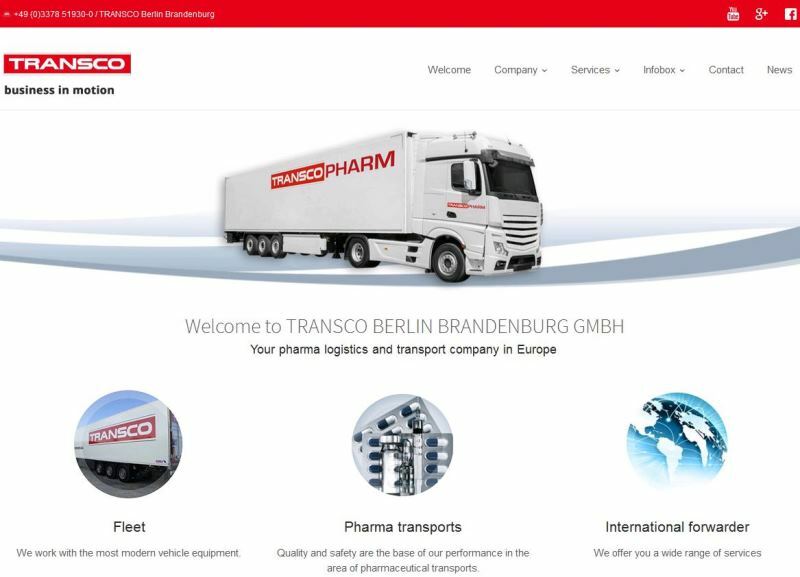 TRANSCO Berlin Brandenburg who is specialized in transport of pharmaceuticals, keeps up with the times and open up to new equipment and trend of the market. For this reason the online presence of the company has new designed now. The result is a neat, handsome and modern website, which is accessible on all devices; from smartphone via tablet to PC. With the help of actual pictures, all important information about the company and our business as well as lots of handy tips, we would like to reach the internet users with our new website. We are also present in the social media. You will find TRANSCO on Facebook and Google Plus. Your feedback is very welcome. On Facebook you will find the link for feedback on the left side of the page. To leave feedback and optionally a review just click on the grey stars. On our Google Plus page you will find the link for feedback on the tab “Info” – “Erfahrungsberichte”. To leave feedback and/or a review just click on the grey stars. Please enjoy browsing our website. We look forward to your contact requests, comments and Facebook-likes.